Perhaps it can be viewed as egotistical, or uninspired, or even plain boring. I'm talking about my blog title, of course. There is a lot of advice out there about how to choose your blog name, complete with checklists and stories of changing domain names and the headaches which can accompany it. Luckily, I changed my blog name awhile back and have been exceedingly happy with the decision ever since. And here's why. 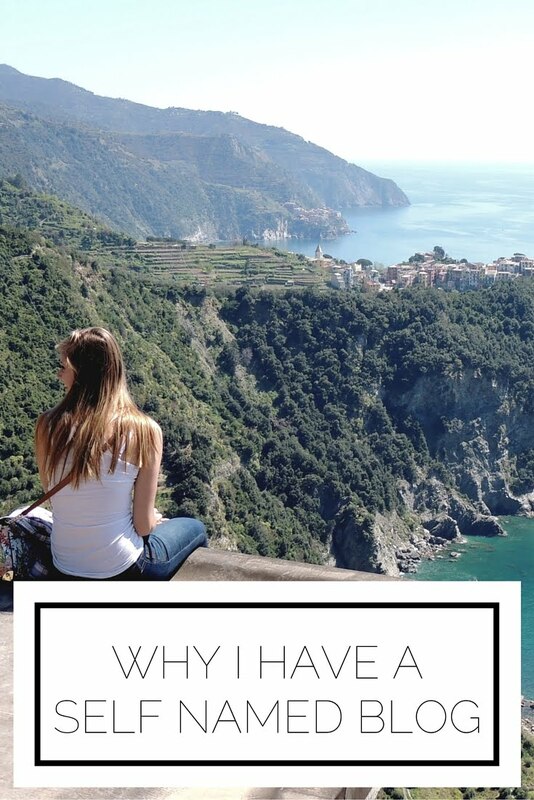 When I first started blogging, I had no idea what I was doing. Like 0, zilch, nada. It was pretty much a hap hazard mess of whatever background and font I thought was pretty that week, and forget having a posting schedule. What I always knew from the beginning, though, was that I wanted to create content which promoted simplicity and minimalism. I was seeking it in all facets of my own life and wanted to share the struggles and successes I encountered. The original name of this here blog was Keep It Simple. As time went on, however, I realized that this title was highly unoriginal and not the best way to be recognized in an oversaturated blogging world. I brainstormed a ton of different titles (most including the word "navy" because that's my favorite color, but as you can now see is not part of my blog design at all. I really dodged a bullet on that one!) but finally decided to go with a self named blog. The fact of the matter is that I was thinking further than just the next few years when I made that decision. I was anticipating what would happen to my site upon graduation, when I embarked on a career, and all that would follow. Maybe this will not always be a blog. Perhaps at some point it will be an online resume or a portfolio site, or who knows what else. I wanted a name which would always represent what I was creating and what better than my own name? There is a certain simplicity which I associate with using my name and I think it gives me great freedom to allow my site to evolve with me. Plus, I really like my name. It also is always original so I don't have to worry about copy cats. If you are contemplating a re-brand and are questioning what you want out of your site like I was, I highly recommend considering a self named blog; especially if the domain is available! It is so valuable to own your name in every sense (can we just take a moment to appreciate that I own alyssajfreitas everywhere?! Twitter, Pinterest, Instagram, Gmail, you name it, I most likely have it. I think that's pretty cool!) and if you let that opportunity slip by you may regret it. What do you think about going self named? Would you ever do it?